Ha–I did it! After five years of avoiding the Rose Bowl like the plague, I finally hitched up my shorts two weeks ago and attended my first-ever grad school football game. Since our team was playing my alma mater’s rival, I was doubly invested and ready to shout as loudly as I could about “taking off that red shirt,” if ya know what I mean. Plus who doesn’t love a socially acceptable excuse to be obnoxious and rambunctious and generally just a tad madwomanish? As it turns out, the weather on game day was insanely sweltering and, as our seats in the student section were full-blast under the sun, a few of us ended up spending the entire first quarter wandering around outside and looking for food instead of actually watching the game. This meant that we missed the only touchdown of the entire game, scored by yours truly–er, well, until the other team scored not one, but TWO touchdowns in the final 2 minutes of the game. Derp. My friend was majorly upset (it was her first-ever football game), and my dad texted me right after the game because he simply could not stop cracking up at our misery. “Heart broken loss,” his message read. Annnnd to me this is why food > football forever, hands down. Speaking of food and football games, though, there is one reason why I still love the sport even though my team is a heartbreaking hot mess on the field this season sometimes disappoints me. In my book, you can never go wrong on any occasion where all sorrows can be drowned in food, food, food. To celebrate the start of a new season, I popped down to Walmart the following weekend for a few game day edibles and ended up snagging a bag of chips, some corn tortillas, a few blocks of cream cheese, and a bottle of mild Pace® Picante for that extra flavor kick. Not to congratulate myself on my shopping victory, but it was really. Good. 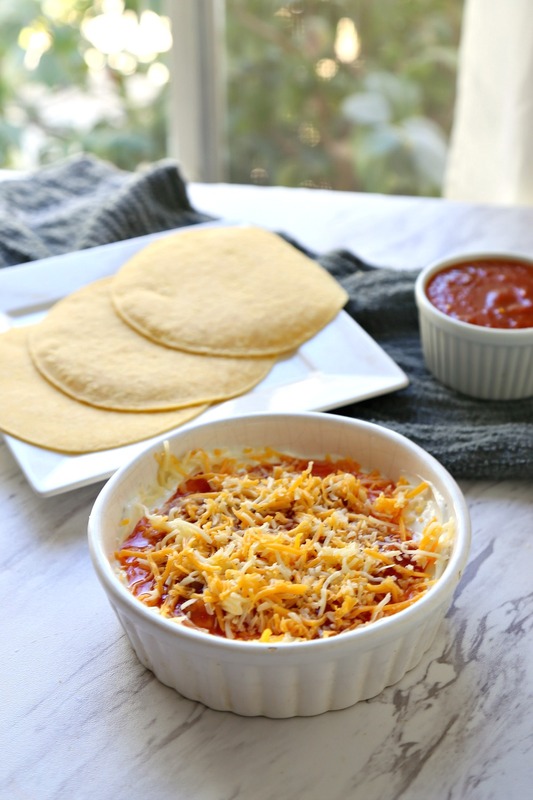 I had bookmarked some simple game day recipes a while back and was determined to try making my own Easy Picante Cream Cheese Dip, which contains just three ingredients: cream cheese, Pace® Picante, and shredded cheese. Then, because I was feeling particularly saucy (ha ha, get it? 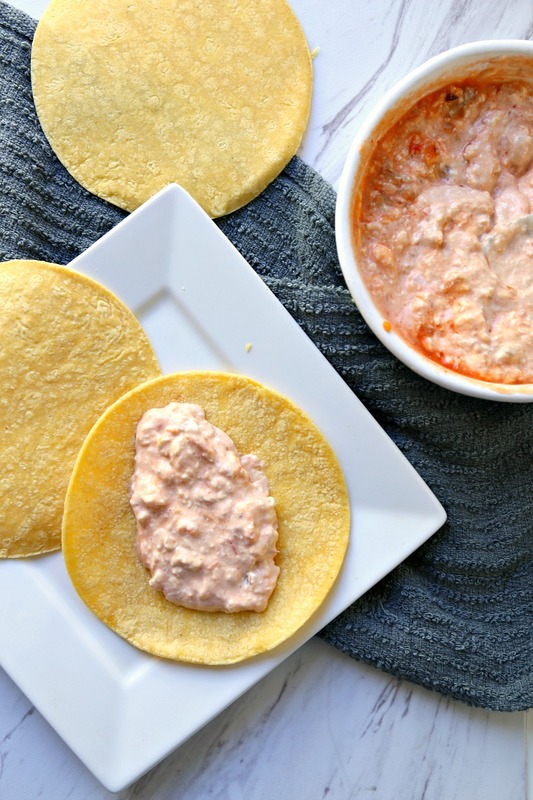 ), and because these flavors are great on pretty much anything but ice cream, I decided to spread half of the dip on the insides of lightly toasted corn tortillas and roll up the whole shebang. I might not make great team choices, but hey–reap your victories where you can. Or something proverbial like that. Me, I’ll take a bowl of this dip and a plate of these rollups any day. What do you do when game day ROLLS around? 1 cup Pace® Picante (Mild) 24 oz. 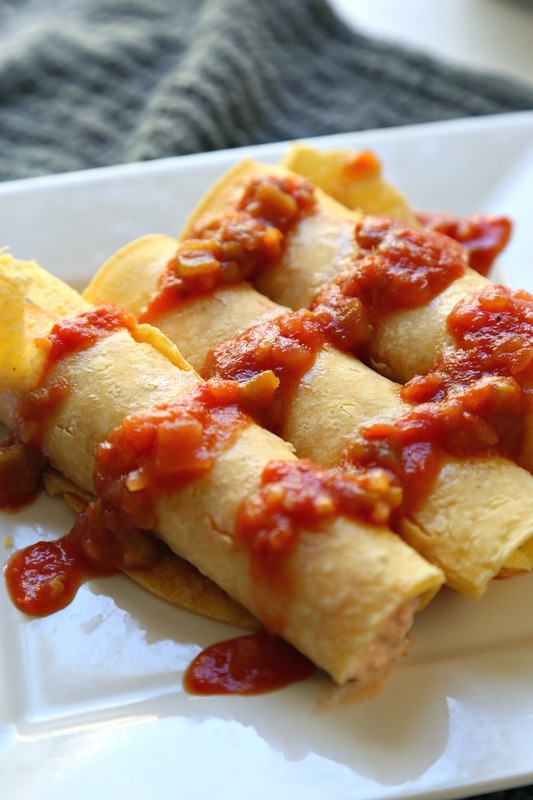 To make rollups: spread each slightly warmed tortilla with cream cheese dip, then roll up and serve on an appetizer platter! The perfect appetizer or finger food to celebrate any fun occasion. So perfect 🙂 have a lovely week, Denise! We are SO on the same wavelength here, Shashi!! I’d so love to tailgate with you xo hope you have a fabulous week! I usually avoid the actual game and just concentrate on the food. So much more satisfying, usually. At least given the teams I follow! Fun post — thanks. heh, that’s my kind of game time, too. Good luck to your teams this season, though! Maybe it’ll get more interesting (hopefully)? I can honestly say that I’m more into football than I have been in a long time: football = food is a-okay with me, David!! Whoaaa I watched that game but only half-day…while waiting for my food. After all, football is all about food, right? So winning or losing doesn’t matter as long as there’s delicious food on the table, like this rollups. And bam! That’s how I love my game day food.